Home › Uncategorized › Hardsploit Online Shop is opened : Pre order launch ! ‹ Great Success for @Hardsploit @Blackhat Europe 2015 ! 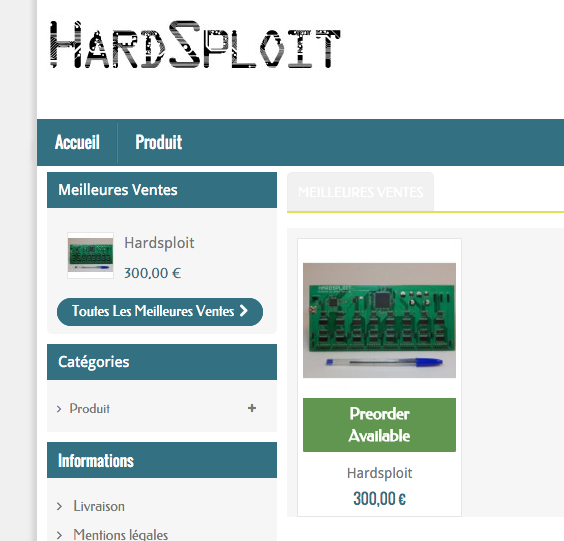 1 Pings/Trackbacks for "Hardsploit Online Shop is opened : Pre order launch !"